It’s unacceptable that buck-passing and incompetence by the NBN and telcos is leaving so many people without internet or phone connections for weeks and months on end. Getting the NBN is now worse than waiting for the NBN. When will they fix this mess? Hundreds of frustrated local residents have complained about being unable to get a reliable NBN connection for internet or telephone. Julian Hill has called on the government to bring back compensation for people suffering excessive delays to put pressure on the NBN and telcos to fix these problems. 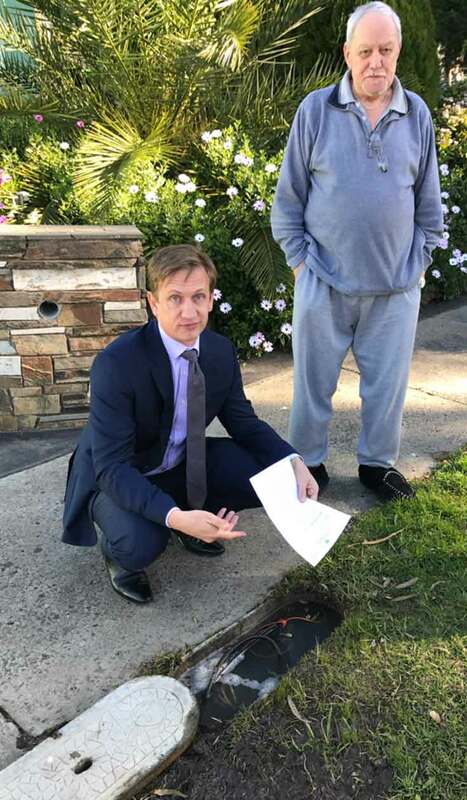 After more than a dozen visits by NBN contractors, Allan from Wheelers Hill still had connection faults. Julian Hill raised the problems in parliament and contacted the Minister for Communications. At long last, Allan’s service is finally working. Kerry, a Glen Waverley based publisher who employs over 25 editors around Australia, experienced so many internet dropouts and disconnected calls it threatened the viability of his business. Australia needs reliable, fast broadband, but the Liberal government is shackling Australia to an NBN that relies on last century’s copper wires.